Funko has revealed the latest Pokémon character to be added to the Pop Vinyl lineup, with the grass-type starter Pokémon Bulbasaur coming soon. As you can see, the figure takes on the usual, Funko Pop appearance, seemingly staring into your soul with its deep, black eyes of doom. The figure will fittingly be released on Pokémon Day, 27th February, and a blog post from Funko's official site states that "additional Pokémon will be available every season". The official Pokémon Twitter account has also revealed that "a year’s worth of seasonal Pikachu figures", also from Funko, are on the way. 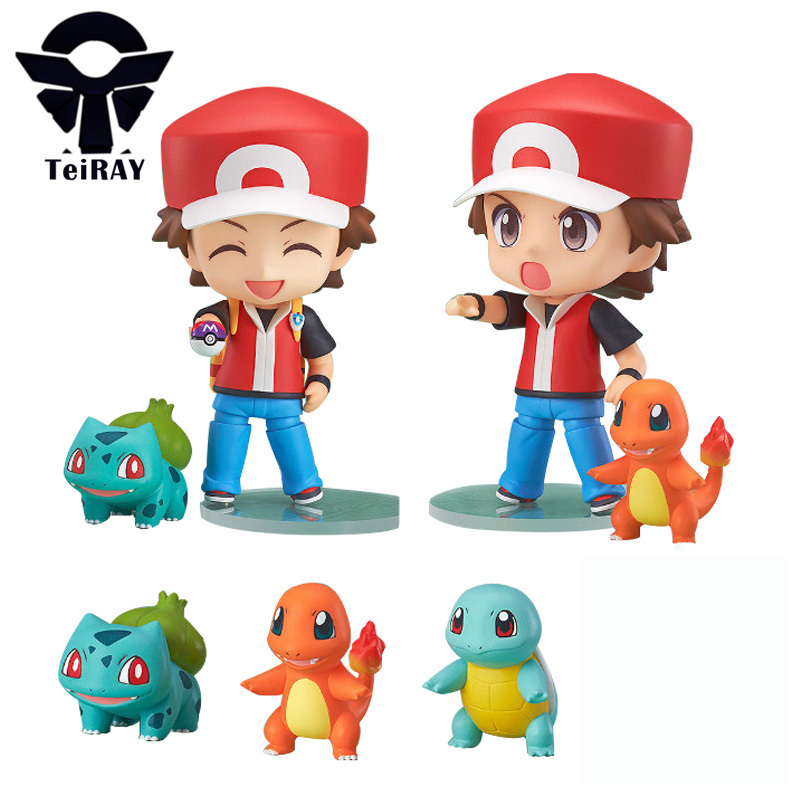 The message specifically mentions "US" trainers, so we imagine these will be exclusive to that region. Do you collect Funko Pop figures? What do you think of this Bulbasaur design? Tell us below. 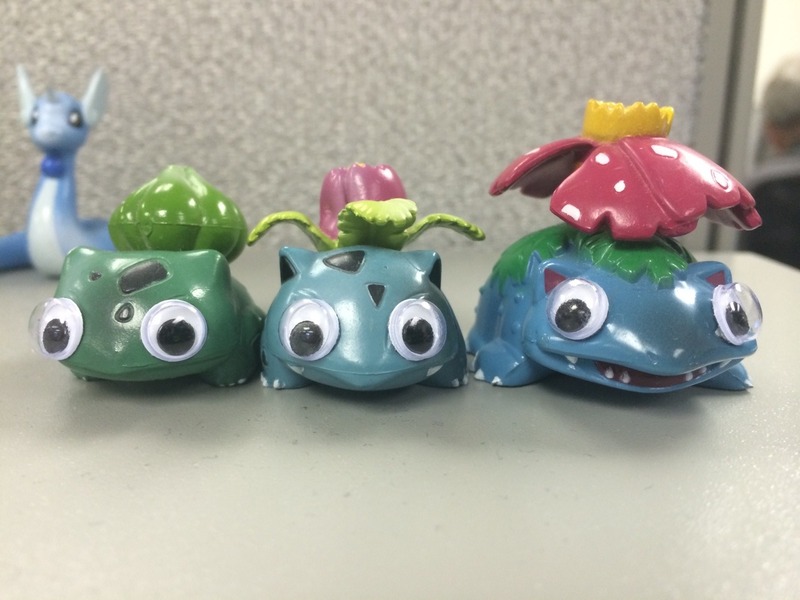 That Bulbasaur is way too creepy with those eyes. Get a sclera, mate. It was only going to take so long until they got their hands on a nintendo franchise. Bulbasuar is also my favorite starter, so count me IN! @MysticGengar wow that's surprising. Who would've guessed Bulbasaur would be the first Nintendo Funko? The eyes! It's enough to give you nightmares. Can't wait to see how scary the other pokemon look as Funko figures. I'm going to be that person commenting on the subject they don't like and say: Funko Pops are horrible. Their aesthetic fits very few characters and the only good looking ones deliberately reduce/discard Funko Pop style. This Bulbasaur is hacked! it shouldn't be able to learn scary face. Funko Pops are pretty cute, and the simple style lends itself well to different franchises. Pokemon, however, is not one of them. 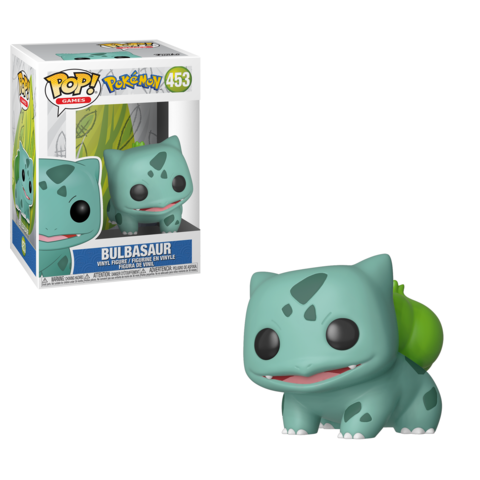 the Pikachu pop is unsettling, and Bulbasaur looks even worse. @idrawrobots I get that, but you would figure Mario or Link would've been the first Nintendo ones. Bulbasaur being the first pokemon representative makes perfect sense. @Charlie_Girl that picture is unsettling, the oven is from the 70s and the clothes are from the 2000s. I think Bulbasaur looks cute! Might be the first pop I pick up in years! @Charlie_Girl Oh I see. Wonder if they are just going to do "cute" or "baby" pokemon. Like how would you do Funko Charizard or Mewtwo? @SheldonRandoms I STILL RATHER PAINT THE EYES! @Gravitron A Charizard Funko would probably be done the same way they did Rathalos and Zinogre from Monster Hunter. Despite how some may feel about this. I'd wager that these will sell insanely well. Multiple types of collectors will want this. Nothing like checking NL and coming across a Bulbasaur that reminds you of the button eyes from Coraline! Yes please, that will be added to the collection. @KyleHyde the Rathalos Funko reminds me of Volcorona. I like where you're going though that would work quite well. As for Mewtwo I've seen a couple good fan made ones but the fan made Charizards look a little silly. Oh my bank account is not gonna like this. I thought Funko dolls looked cute and cool at first, but now they're just sucking the life out of every single bit of nostalgia on the planet. I wish some other lines would come along and present a more creative alternative. @Blitzenexx Yes, soulless and homogenized like Other Mother truly intended. Nope. I'd rather have the official Pokemon figures where they still kept their eyeballs. This unbelievably adorable to me. I expect charmander soon enough, which I'll be getting. I'd love a magby, murkow, or zangoose too... but they just aren't popular enough. ya know, the black eyes are working for Pokemon so far... it actually looks really cute! I've never understood the appeal of these things at all. 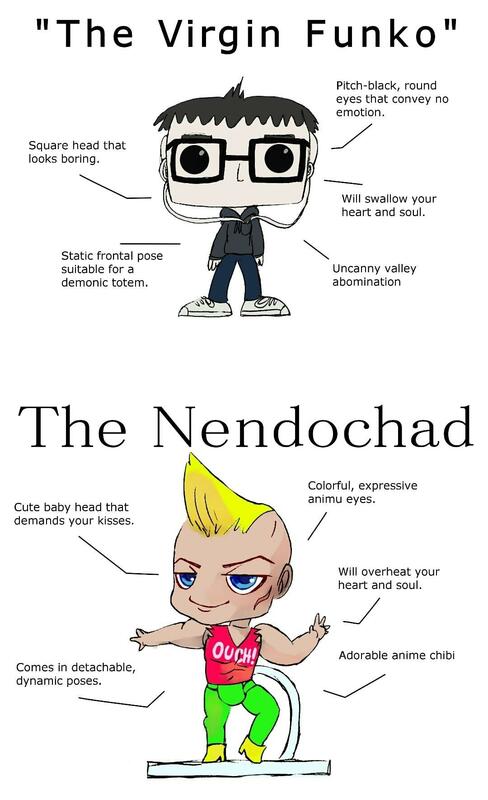 The Virgin Funko Pop vs The Chad Nendoroid. 30 comments and nobody has mentioned how it's really strange Nintendo licensed or let The Pokémon Company license these to Funko Pop rather than doing an amiibo line themselves. And I know Pokémon amiibo might not have a game to go with them right now but a lot of amiibo probably just get bought as display items like Funko Pop any way. Seems a missed opportunity. Not sure if we'll get this one, but the Rathalos we have is better than any amiibo, with the possible exception of Wolf Link. Oh no! These plastic rubbish have had there day! Mine as well, good sir. Might have to snag this up. These things are hideous. I'm impressed with the breadth of brands (especially the niche ones, such as Silicon Valley) that have been covered, but most of them look virtually indistinguishable from one another. 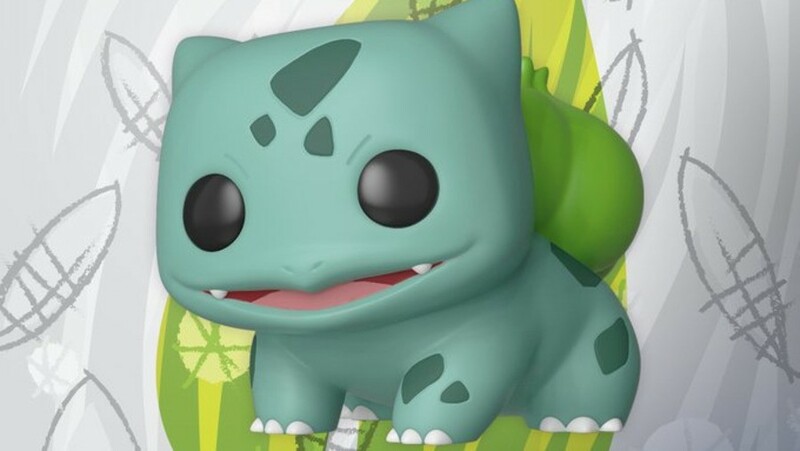 I think people seriously exaggerate how "terrifying and soulless" Funko Pop eyes look, and I own a few of these things with no regrets, but to me a big part of Bulbasaur's appeal is its eyes, so it's not hard for me to pass on this. Nendoroids are flat-out gorgeous. There, I said it. @AlexSora89 No argument whatsoever that Nendoroids are cuter and higher quality, but you do realise they literally cost four times as much as Funko Pops, right? That's a big reason for Funkos to exist, if you ask me (and the millions of other people who have bought a couple of Funkos but can never justify the cost of a forty-something-dollar doll to their partners). 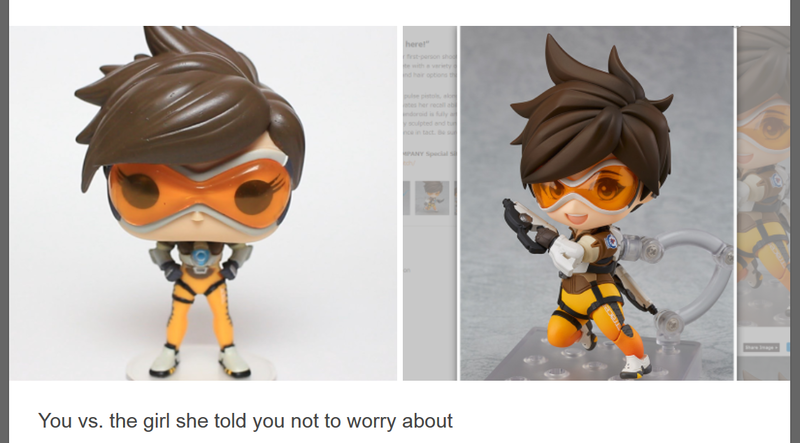 True dat, but Nendoroids, aesthetically, represent the ideal compromise between the Funkos' lack of appeal (to me personally) and First4figures' utter price insanity. Both extremes have perfect-yet-awful price/quality ratio for polarly opposite reasons to each other. @AlexSora89 I'm not saying that Nendoroids are outrageously priced - I actually think the price is pretty reasonable for the quality and accessories that you get. It's just, honestly, more than I can justify paying when the discretionary budget is limited. If I go to the mall and come home with a mass-produced vinyl figure of something from a fandom I like, it's a hell of a lot easier to tell my wife, "eh, it was $10" with a shrug than to tell her it cost over $40 and by the way, can you buy our kid a pair of jeans, because I just spent $40 on a doll? Like, I also occasionally buy Godzilla figures, and my dream is to have at least one SH Monsterarts figure of the Big G. But $75 is way more than I'm going to spend on a little plastic monster, so all my Godzillas are the $20 NECA figures (and, yes, one totally adorable Funko Pop Godzilla, fight me bro). I love toys and games, but I gotta pay bills too or the wife gets kind of irritated. Funko is there for me. @JasmineDragon It's a bit sad how some people are itching to throw money at figure representations of their favourite characters, but not enough to get an actually high quality product. One's sense of taste has to be really skewed to consider Funko Pops to have a good price to quality ratio. Save that money towards a bigger purchase instead of throwing ten bucks into the garbage bin every other day. @Preposterous Hmm. Interesting. To me it's a bit sad how people jump to conclusions based on brief conversations on the Internet and rush to judge other people with next to no information at their disposal. I buy maybe one of these figures in an average year. My whole collection is like five Godzillas , three or four Funkos and a couple of DC figures. Not really a high priority for me. But if you want to spend more money on mass-produced vinyl dolls and actually believe you're being smart with your money, you do you. @Charlie_Girl If you think that's bad you should see the Warhammer 40k Funkos. Totally getting where you're coming from. I'm with ya on this one. @JasmineDragon ”But if you want to spend more money on mass-produced vinyl dolls and actually believe you're being smart with your money, you do you." Did you just jump to conclusions yourself? I only mentioned "a bigger purchase" without specifying it. I wouldn't be caught dead owning a Funko Pop, Nendoroid, figma or whatever, because I don't like the idea of filling my house with plastic rubbish. 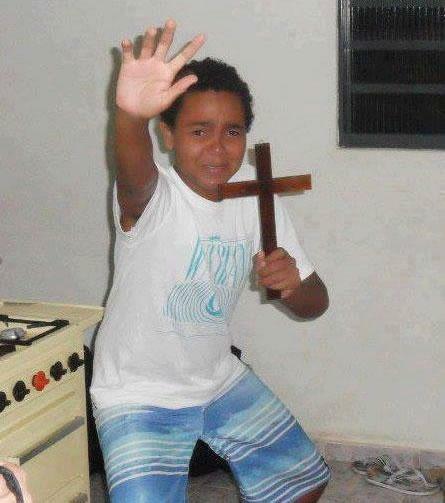 funko pop figures are demons sent from hell to harass us all. Send them back to the dark dimension. Keep that Coraline crap out of my life. This is evil and satanic. Spare us this monstrosity. One day when these little things come to life and kill you all, don't say I didn't warn you. The live action Mr. Mime looks less creepy than this. Another crap Funko Pop, who'd have thought? That Mega Man is sweet! I would just be happy if I could get a Mega Man Amiibo. 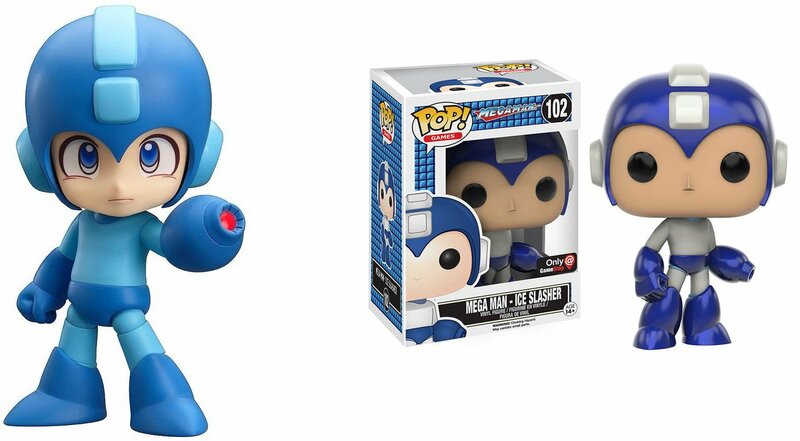 That POP version looks more like the early Mega Man box art than anything else. It's amazing on how many levels it sounds accurate.